Tenor Banjos are fun and friendly instruments. They’re short in length with narrow necks, making them the perfect beginner banjo. They’re also an important part of Irish folk music, where they are most commonly heard as part of an ensemble. Tenor banjos or Irish Tenor banjos (the difference being that Irish Tenors are often smaller) have four strings tuned to GDAE. 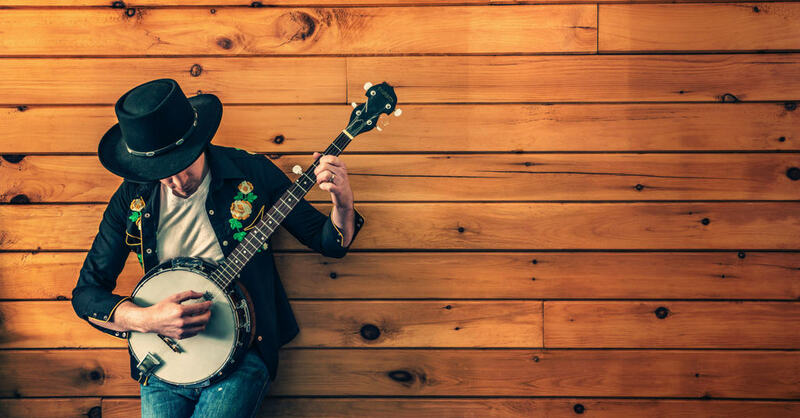 When shopping for a Tenor Banjo, stand out features like a Rosewood fretboard for a smooth playing experience, a mahogany resonator for superior resonance, and geared tuners for tuning stability are worth looking out for. Low action is also always a bonus. Some of you might be looking for budget-friendly banjos, and don’t fear – we’ve found the best and put them here. The Gold Tone is a trusty model, featuring geared tuners – for stability of tuning – and low action for easy, smooth playing experience. There is also a beautiful satin finish, and the adjustable truss rod gives you extra controllability over your neck. 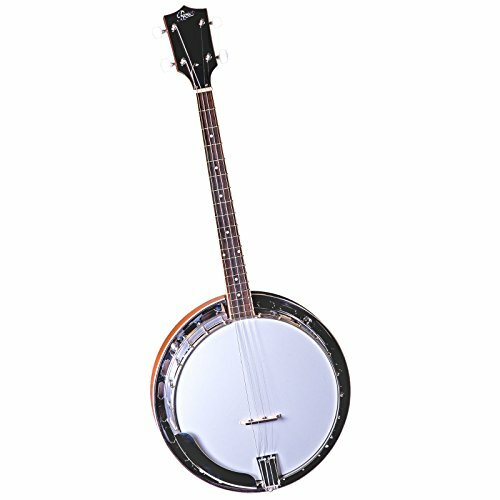 This banjo is perfect for the intermediate/advanced player, who wants a professional level instrument. The Rover RB-35T boasts a mahogany resonator, for superb resonance. There is also a Rosewood fingerboard, for a smooth and rich playing experience, and geared tuners to promise your banjo stays in tune! This beautiful banjo tends to sell at a mid-range price, and the value you get for your for money is impressive. This budget-friendly option is an impressive buy and even comes with a gig bag! Sometimes ‘cheap’ instruments are just that, but this one will take you by surprise. It holds its tuning well, sounds great and is easy to play. This banjo is great for beginners. The Deering Goodtime banjo has a beautifully slender neck, for a smooth and easy playing experience even for smaller hands. There is a maple neck, for a high quality, high-range-inclusive sound, and the geared tuners ensure that this instrument stays in tune well. It’s not cheap but this is the kind of banjo that will last you a lifetime, due to the quality of both materials and build. The Recording King is an exceptional budget-friendly option. Despite its wallet-friendly price, it has a Rosewood Fingerboard – for smoothness of play and richness of sound – and a high-quality maple neck. It will need setting up when you purchase it, but getting it done so by a professional will ensure the greatest possible playing experience. Though this banjo is probably aimed at beginners, its quality is beyond what you would expect from a banjo of this price. Highly recommended for the banjo-newbie. After considering the pros and cons of all of our favorite tenor banjos, our ultimate pick has to be the Rover RB-35T Tenor Resonator 4 String Banjo. This banjo won us over with its Rosewood fingerboard, mahogany resonator and its stable, geared tuners. 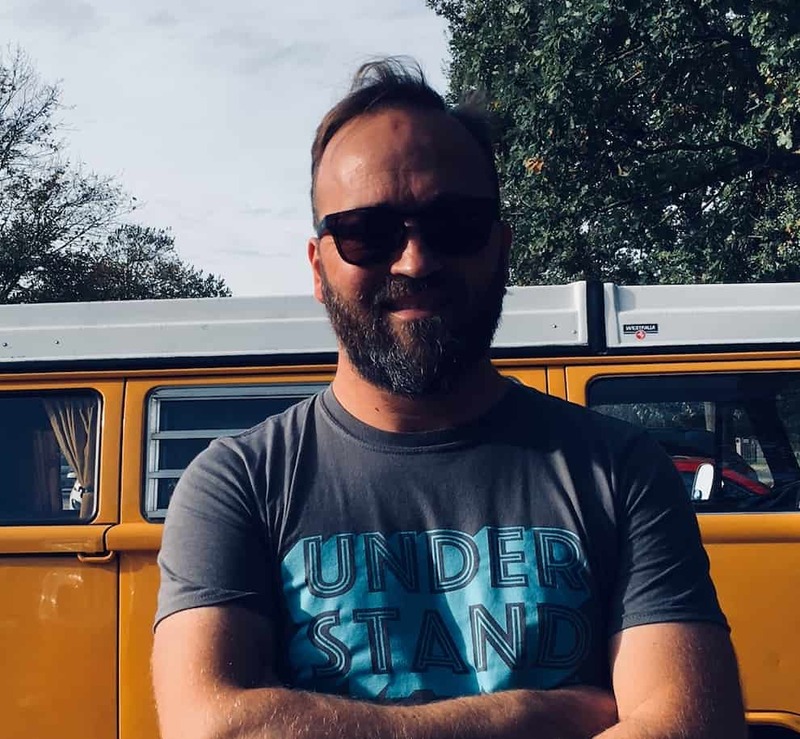 If you’re a beginner on a budget, the Recording King or Trinity River might suit you better. These instruments offer superior quality at a surprising price. The trusty Deering or Gold Tone models might also be more suited to your style. If you can’t resist a slender neck, the Deering may win you over. Similarly, the beauty of both the satin finish and the low action, which comes so naturally with the Gold Tone, might have made your mind up for you.